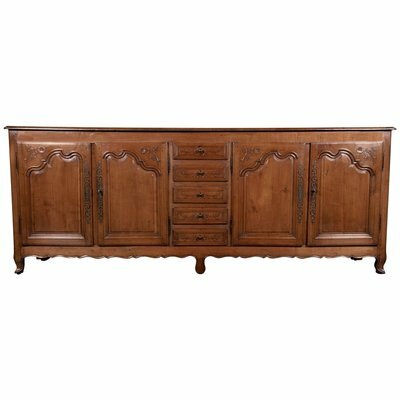 Grand French Country enfilade handcrafted in the early 1800s from solid cherrywood by talented artisans from the Brittany region located in northwest France. 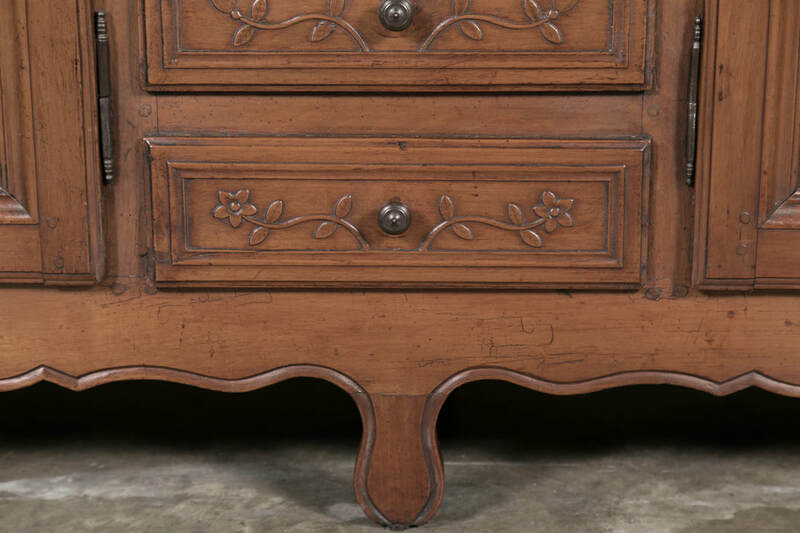 Spanning eight feet four and a half inches, this splendid Louis XV style enfilade buffet features a pair of cabinets flanking a centre section of five evenly spaced drawers, one above the other, with each having a single iron pull surrounded by lovely carvings of stylized floral motifs. 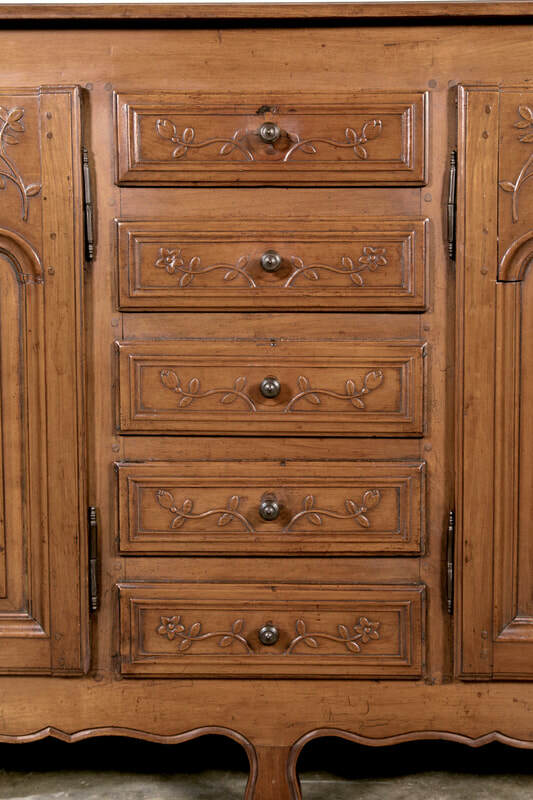 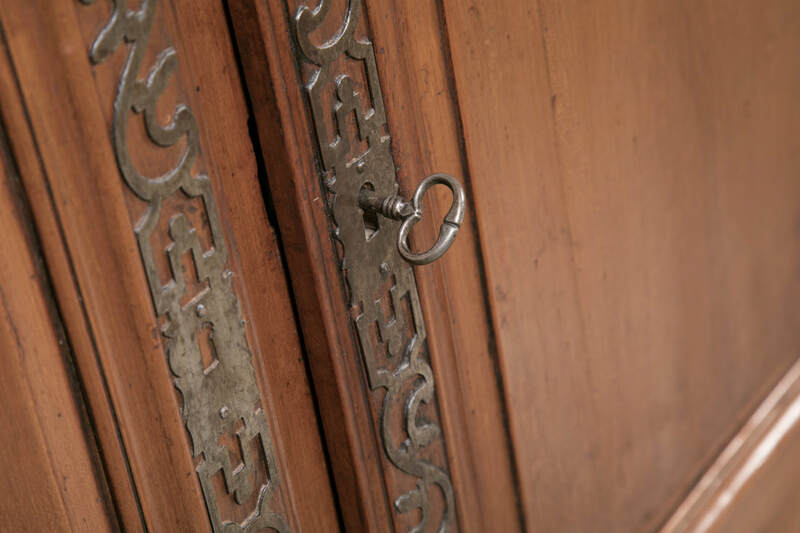 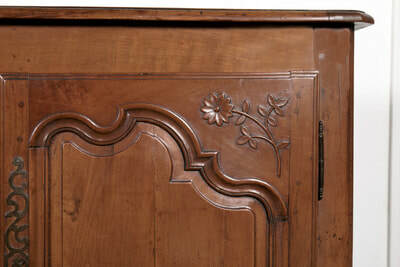 The four panelled doors with lavishly scrolled framework and floral carvings open to reveal spacious storage. 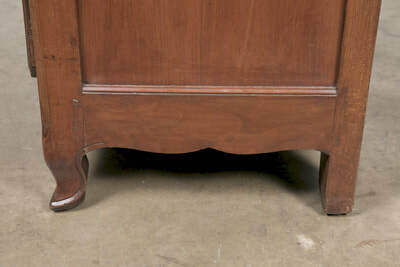 Carved and shaped apron raised on cabriole legs. Found in a chateau near the city of Nantes, this piece is both beautiful and functional. 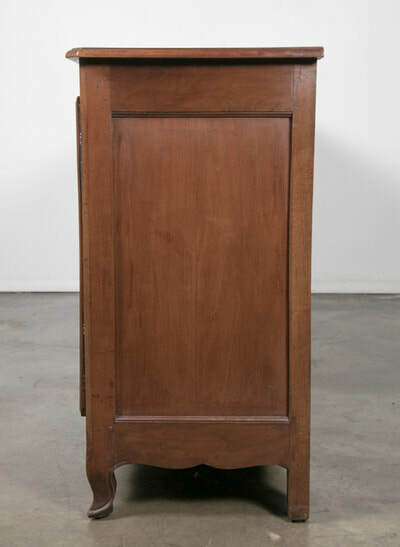 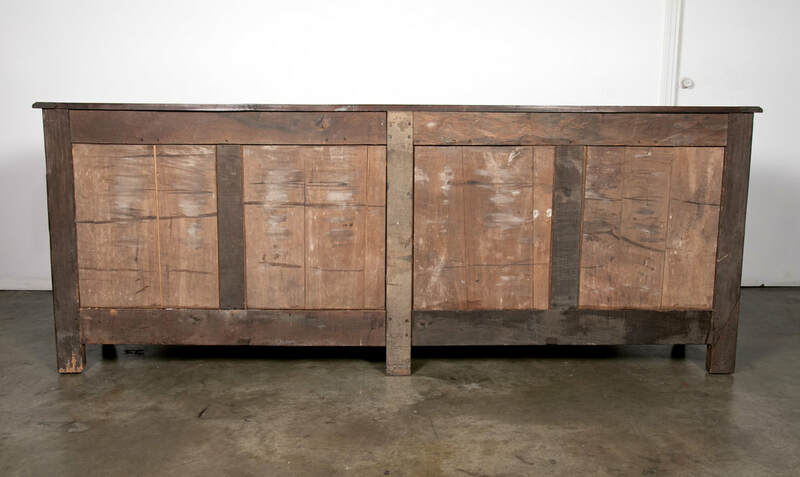 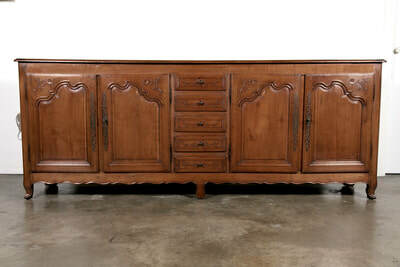 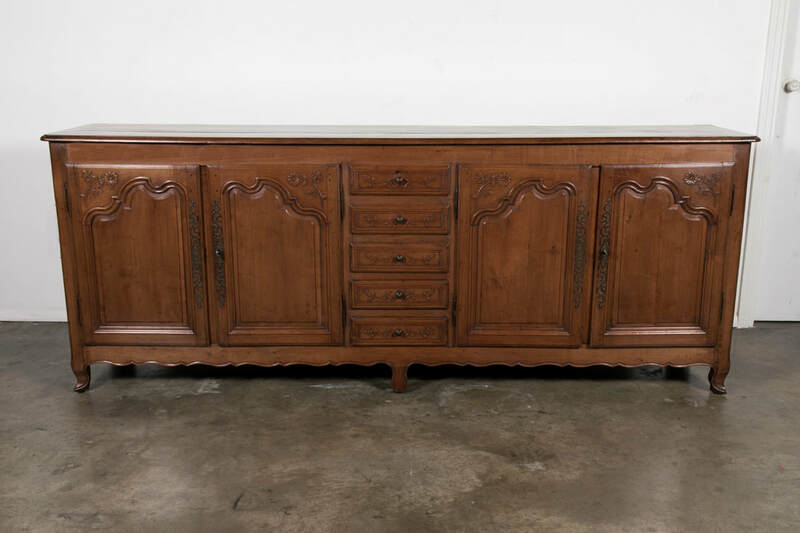 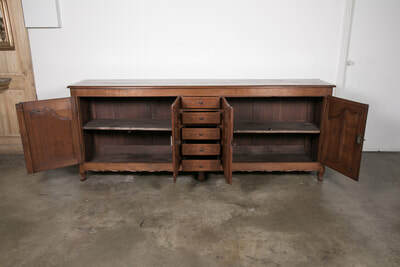 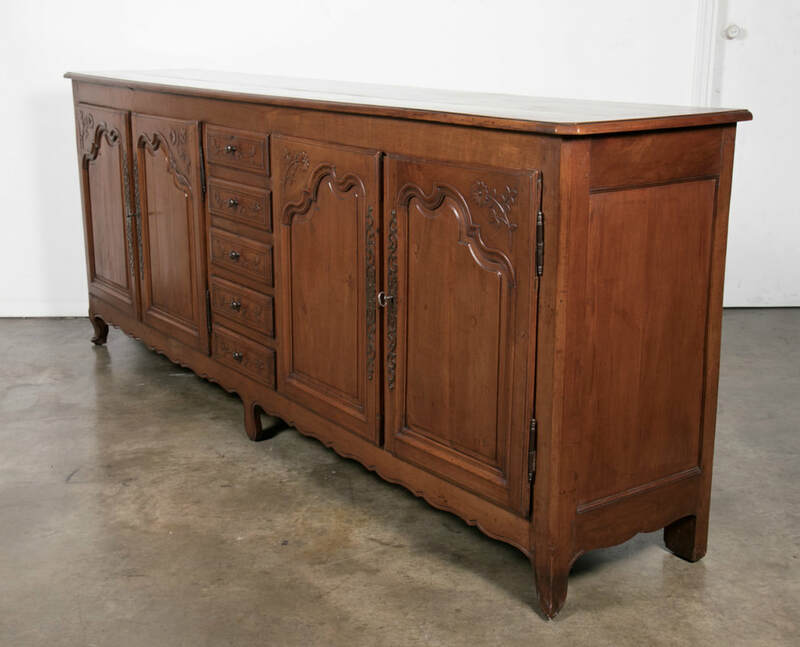 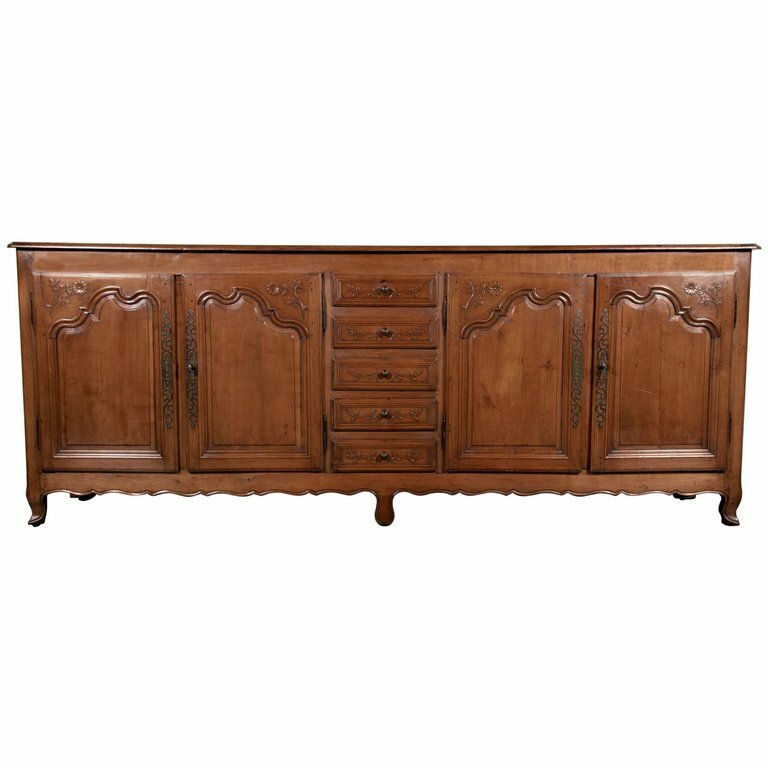 The narrow depth of this versatile piece makes it perfect for a foyer, hallway, grand dining room, or as a TV cabinet.